Choosing a mobile locksmith isn’t as easy as looking up a locksmith in the phone book. That is if you want to ensure that you get a professional locksmith that offers quality, as well as budget locksmith rates. There are things to consider before you decide to hire a locksmith for any service as your safety and security are a priority. The best time to choose a locksmith is when you are not in an emergency situation. The goal of finding the right locksmith is one that offers a full range of locksmith services, 24 hours a day, at affordable rates. 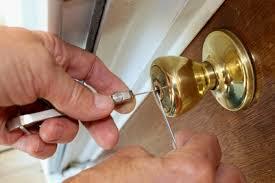 Locksmith Perth will vary on the services they provide, just as they will their rates. Professionalism in a locksmith is essential. The locksmiths that you consider should be licensed and certified in a full range of locksmith services. Determining the different services the locksmiths provide is best done by accessing various local locksmiths via the Internet as this is one of the easiest means to shop and compare locksmiths. You’ll find that locksmiths in the area may specialise in different services, such as mobile auto locksmiths, mobile, Residential Locksmiths, mobile locksmith, Commercial Locksmiths and mobile emergency locksmiths. You’ll also find locksmiths that specialise in all aspects of locksmith issues. Be certain that the locksmiths are qualified to offer the level of service they provide. Lockout services: Lockouts are one of the most common calls of a locksmith and when shopping locksmiths, you’ll find that most locksmiths offer home, business and auto lockouts. For transponder keys, the locksmith will need to specialise in transponder key services as transponder keys require coding and programming knowledge. Lock repairs: Lock repairs can include a number of services for different types of locks- electronic locks, digital locks, biometric locks, deadbolts, mailbox and gate locks, etc. A lock repair can include repairing the door frame due to a break in that not only breaks the lock, but the frame of the door, as well. Car key replacement: Nearly every vehicle owner experiences a lost or stolen key at some point in their years behind the wheel. Most mobile locksmiths are available for 24-hour emergency car key replacements and duplicates. Mobile locksmiths can make a new key or a duplicate onsite in just a matter of minutes. For mobile locksmiths that offer transponder key replacements and duplicates, most offer the keys at a fraction of the cost of the dealer. Lock replacement: Lock replacement is also a service of most mobile locksmiths. There are many different scenarios: you come home late from work to find your front lock has been broken, or you’ve just moved into a new place. Both situations require a lock change; and, while mobile locksmiths offer lock replacements, most will advise you as to whether a lock change is needed or if a simple rekey will do. You’ll also find the locksmiths like AMCO Locksmiths Perth that offer a full range of locksmith services. The quality of a mobile locksmith is essential and without quality, other services are dismissed. With that in mind, decide on the services you want from a mobile locksmith. For instance, if you don’t own a vehicle then you may be looking for a residential locksmith only. If you own both a home and an auto, you might want a mobile locksmith that offers both residential and auto locksmith services. Chances are; you want a locksmith that offers 24-hour emergency locksmith services, as most locksmith emergencies arise at times that are not convenient. Contact at least three locksmiths in your local area. Ask them about their experience, their insurance and their licensing. You’ll also want to discuss the different rates of the locksmiths- normal business hour rates, emergency rates and after hour rates. The locksmith should be able to provide you with his rates and services, as well as any special fees like trip fees. Also, ask the locksmith how they handle their 24-hour emergency locksmith calls. Is the locksmith on call? Do they have a team of locksmiths that handle the calls? Etc. Also, ask the locksmith for references and be sure to check them out. AMCO Locksmiths Perth is a mobile locksmith that is fully licensed and qualified in locksmith repairs, services, and installations. We perform a full range of locksmith services including auto, Home Locksmith and office. Our quality locksmith services are offered at affordable locksmith rates. For more information or the quick assistance of a 24-hour emergency locksmith, give us a call. Call us on 08 9444 2089.